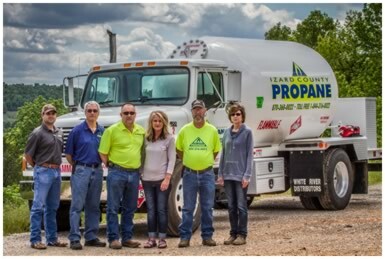 Izard County Propane in Melbourne, Arkansas is a full-service commercial and residential propane company serving Izard, Sharp, Fulton, Independence, Stone and Baxter counties. Owned by Skeeter and Holly Beene, Izard County Propane offers propane gas for home, business and agricultural needs. We also carry a full line of products, including Rinnai commercial water heaters, Phoenix grills, vent-free heaters, White Mountain hearths, and Empire heating systems. From large home propane tank refills to tank rentals, Izard County Propane is at your service Monday - Friday from 8:00 - 5:00 pm. JUST A FRIENDLY REMINDER, SUMMER FILL SPECIAL WILL BE IN JULY.